I went to a shindig at my friend, J's, house. 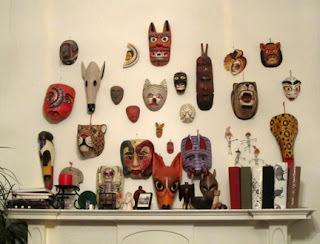 These are the neat masks hanging over her mantle. Nice to see everyone!